DVDs have been the staple media which are used to store data. In fact, almost all of us have our favorite DVD collection. It obviously consists of our choicest collection of movies and songs. In the current digital age, we would want to rip the DVDs and store them on our PCs. One such able software popular for ripping DVDs is WinX DVD Ripper Platinum. We will go through the features of the tool in the following paragraphs. DVDs are moving out of the race. In fact, the concept of physical media itself is getting obsolete. However, most of us still have a fairly good collection of movies and TV shows in the form of DVDs. However, it isn't that easy to rip a DVD on Windows system. 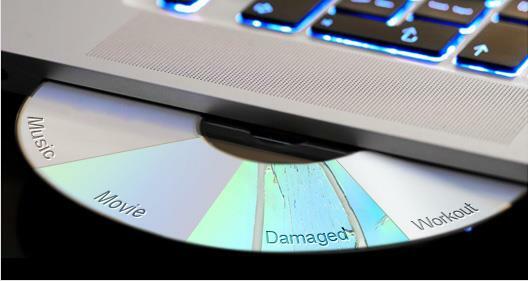 While it could be quite simple to rip MP3s, Windows does not come with a feature of playing DVDs. Of course, we have a few tools meant for the purpose - but most of them tend to be slower in performance and features. Among the host of applications and tools available for the purpose, one that we found interesting is WinX DVD Ripper Platinum. The WinX DVD Ripper Platinum is indeed an excellent DVD tool par excellence. The faster, flexible and easy to use tool is constantly updated. The tool can support over 350 different output formats. That would make it an excellent option if you are not happy with the MP4 format alone for the ripped DVD files. The DVD Ripper supports multiple disc formats. Some of the noteworthy formats include movies, TV series, 99 title DVDs among others. In fact, it can even rip the files from a scratched DVD as well. The tool is faster and reliable. Download WinX DVD Ripper Platinum today and enjoy the best ever performance. Well, we can list out hordes of reasons for installing WinX DVD Ripper Platinum on your computer. However, given the scope of this review, we would focus on the features that would mean the most for a regular user. The ripping performance is the faster ever when compared to the competing products in the genre. It employs the unique hardware acceleration technology to enhance the performance of the tool. In fact, among all the DVD ripper tools we have reviewed, WinX DVD Ripper Platinum is indeed the fastest and strongest tool among the DVD Disc to Digital Software tools we have come across. The Level 3 hardware acceleration employed on the tool ensures faster performance and prolonged life of your optical disc. It can use your Intel Quick Sync Video (QSV) and NVidia NVENC to the fullest capacity. DVDs come with multiple titles, and this is perfectly what would create a headache for you if you are trying to rip DVDdisc with such titles. WinX DVD Ripper is a perfect solution to this problem. It can pick the titles in an intelligent manner and find the ones that are indeed needed for a true DVD rip. In most of the cases, you would not need to manually select the titles you want to backup. The program can handle it efficiently and intelligently. The DVD Ripper Platinum would create an ISO image for the DVD it is going to rip. In fact, this is how you would burn the content onto other DVDs. This option to convert DVD to digital helps you protect your DVD, or rather the content on your DVD. You would also be able to play the ISO format on a variety of media players, one of the worthy mentions being VLC Player. The creation of ISO files has several other benefits like the ability to clone your DVD. You have your favorite content protected against damage to the physical media in addition to the option to create multiple discs so that you can share the love! Apart from the features that have been explained in the above paragraphs, the WinX DVD Ripper Platinum also comes with a few great features that would make it an excellent choice to digitize DVD. The tool would let you choose to add subtitles in any language. You may also pick the suitable stereo or surround sound audio systems. You can also add an external .SRT file if you need. Some other options worth mentioning would be the ability to crop the image or rip a particular scene alone. You may also join several titles into a single file. Ripping DVD to your hard drive would mean copying the files from DVD onto your computer or transferring the files onto an external hard drive. When it comes to DVDs, the word RIP is used instead of COPY because the files on a DVD are generally encrypted. Copying the files would involve decrypting them to be accessible to the computer. Load that DVD disc into the optical drive on your computer. You would need to click on DVD Disc option. You should now find DVD information. Choose the output format. You can scroll down to PC General Options and choose among the MP4, AVI, AVC, Chromecast, WMV, MPEG, FLV, MOV, etc. You can also ISO image, DVD folder, and MPEG-2. You may find the option under DVD Backup option. Now, choose a destination folder. You can either opt for the folder suggested automatically, or click on Browse and chooce the folder where you want to save the output file. Click on Run option to begin ripping your DVD. The process of ripping the DVDs should finish within a few minutes. The DVD to digital hardware processing will ensure that you get the ripping of your DVDs completed in a faster manner. Apart from ripping your DVDs to your hard drive, the software can also be used for several other purposes as well. You may also convert the video files from one format to another through easy steps. Well, the WinX DVD Ripper Platinum should be a great tool for ripping your DVDs and protecting them from being aged and lost. The software not only backs up the data, but it would also help you play it in multiple formats. Are you impressed with the software after having gone through the concise review we have featured here? We would recommend downloading the software for your needs in DVD ripping. If you are still confused, why not download the free version first? You can use it to get used to the tool (though we are sure that it will not take much time to get used to it) and then decide to go Pro.